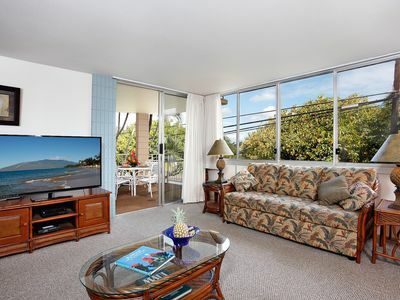 Your island oasis awaits at this beautiful 1-bedroom, 1-bathroom Kihei vacation rental condo! 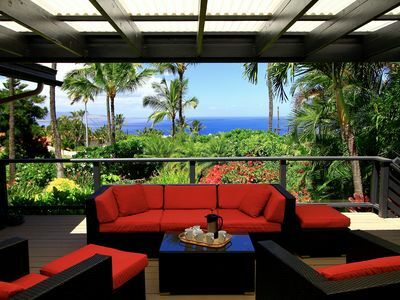 Ideally located in the Maui Vista condos, this property offers sleeping arrangements for 4 guests, access to a community pool, and is only a short walk from several beaches. 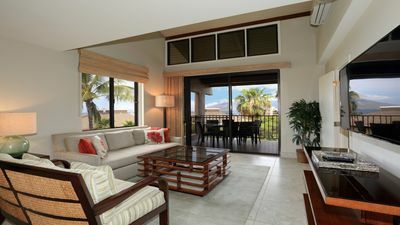 With the shops and restaurants of town within walking distance, plus numerous island excursions at your fingertips, there's no better place to spend your Maui vacation than this dazzling home-away-from-home! 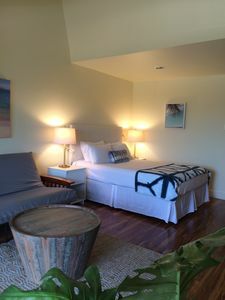 Island life comes easy at this condo tastefully appointed with ocean-themed decor, cozy furnishings, and an abundance of natural light! 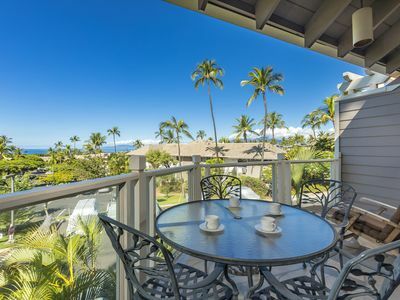 Spend each morning in pure bliss as you sip coffee on the furnished lanai and admire peek-a-book ocean views. 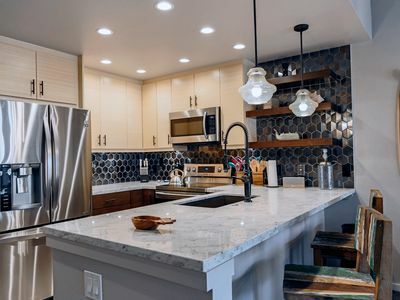 The kitchen is fully equipped to make a hearty breakfast in preparation for a day outside. After all is prepped and ready, settle at the 4-person table for a quality meal with your loved ones. 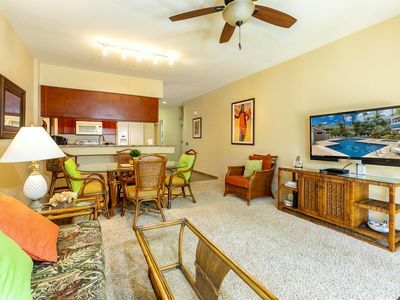 On leisurely days, be sure to utilize the terrific community amenities right outside your door! 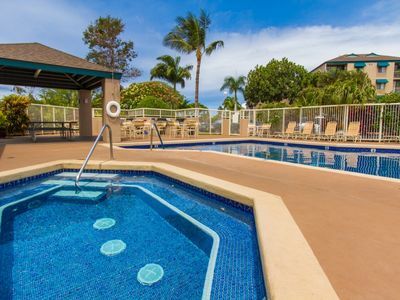 Soak up the sun poolside, fire up the grills for a barbecue, or practice your swing on the tennis courts. Upon returning to the condo, treat yourself to a relaxing rinse in the pristine walk-in shower! Melt into the plush queen-sized bed in the bedroom while your kiddos fall fast asleep on the living room's sleeper sofa. 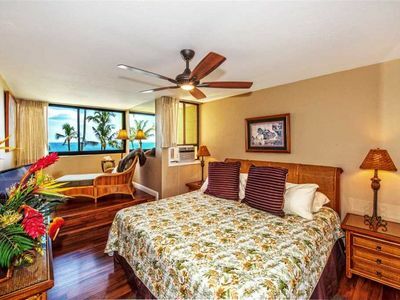 The unbeatable location of this condo places you just steps from several great attractions! 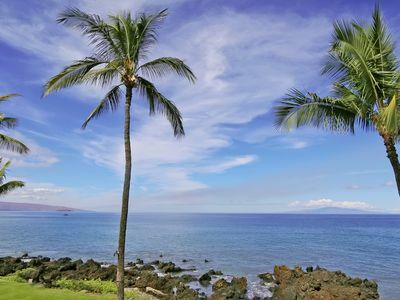 For a memorable day on Maui's sandy shores, roam down the street to Cove Beach Park, Kamaole Beach Park I or Kamaole Beach Park II. Rent paddle boards, go snorkeling, or simply float through the rolling waves. 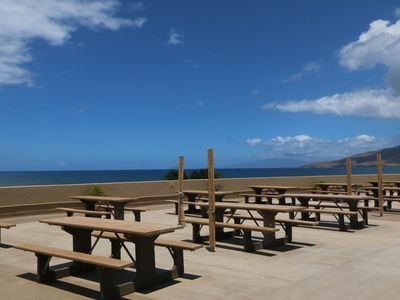 Be sure to also check out Charley Young Beach, Kalama Skate Park or Kalepolepo Beach for more fun and sought out destinations. 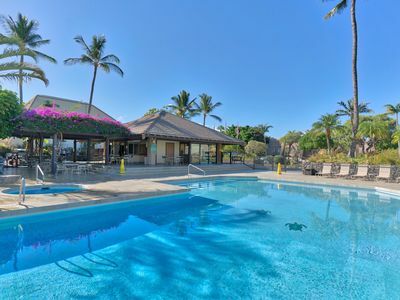 If you don't feel like cooking, meander down South Kihei Road to find tasty restaurants such as Ami Ami Bar and Grill, Koiso Sushi Bar, and Cafe O'Lei Kitchen. 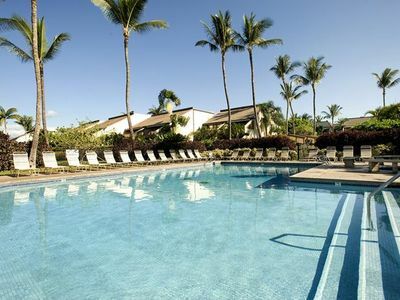 Also close to the property are Maui Brewing Company and Maui Nui Golf Club! 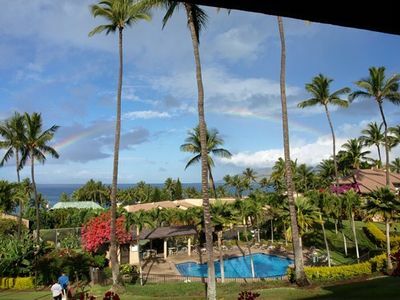 When you're ready for an adventure, hike through Iao Valley State Park, explore the Haleakala Crater, or visit the renowned Maui Ocean Center. Experience the endless wonders of the ocean when you book a surfing lesson, scuba diving excursion, or whale watching tour! 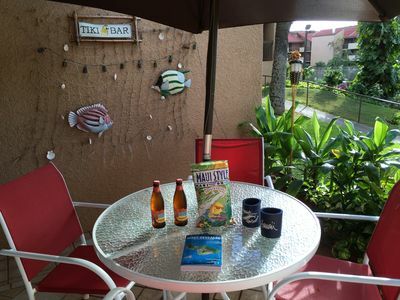 - Amenities include a fully equipped kitchen, flat-screen TV with basic cable, free WiFi, an air conditioning window unit, linens, towels, a furnished lanai, and more! 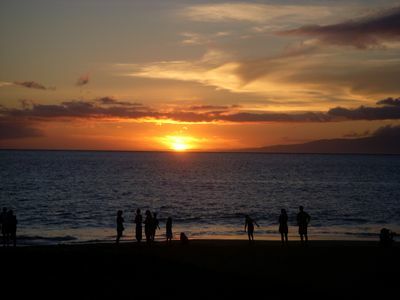 - Amazing Maui Location - Just steps from beaches, restaurants, and shops, plus easy access to other island attractions! 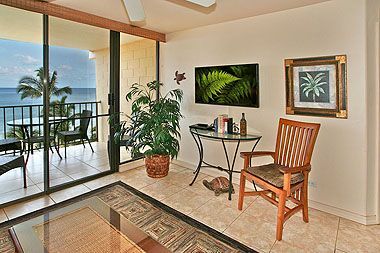 Steps from the beach, family and couple friendly! Great Rates! 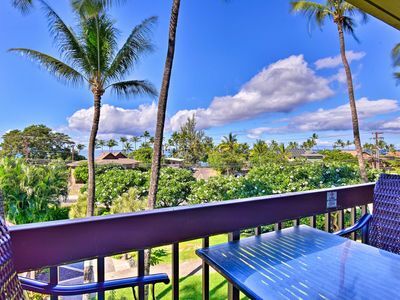 Great Location in the Heart of Kihei!! Across Street from Beach!! 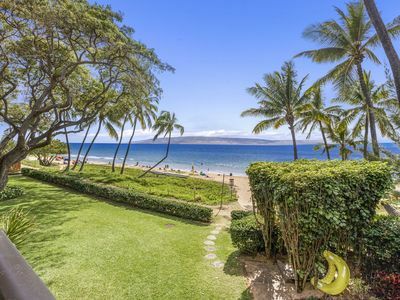 Best Kihei Location; Oceanfront with Stunning Views; Spacious 2BR on the Beach! 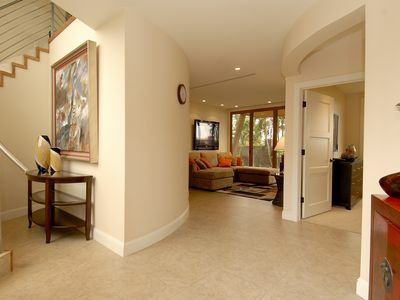 Remodeled, Rare, Ground Floor, Walk Straight Out to Pool!